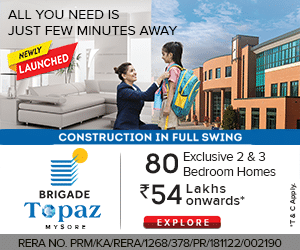 Mysuru: Hectic preparations are on for Chief Minister H.D. Kumaraswamy to offer Bagina to the reservoirs along the River Cauvery basin on July 19 and 20. Bagina is a sacred offering to the River Goddess as a thanksgiving gesture for bountiful rains. After returning from New Delhi where he is meeting representatives of State in Cauvery Water Management Authority (CWMA) and Cauvery Water Regulation Committee (CWRC) and Karnataka MPs, Kumaraswamy will offer Bagina at Harangi Reservoir in Kodagu on July 19. He will hold a meeting with Kodagu District officials at Madikeri and elected representatives on the rain damage and relief measures. Kumaraswamy will stay in Madikeri and will perform special puja to Sri Bhagandeshwara Swamy at Bhagamandala at 5.30 am on July 20 and proceed to Talacauvery, the birthplace of River Cauvery. He will offer his prayers at the Brahma Kundike. Later, he will fly to Mysuru to perform puja to Goddess Chamundeshwari atop Chamundi Hill (on the occasion of first Ashaada Shukravara) and will fly to KRS to offer Bagina at the Dam. 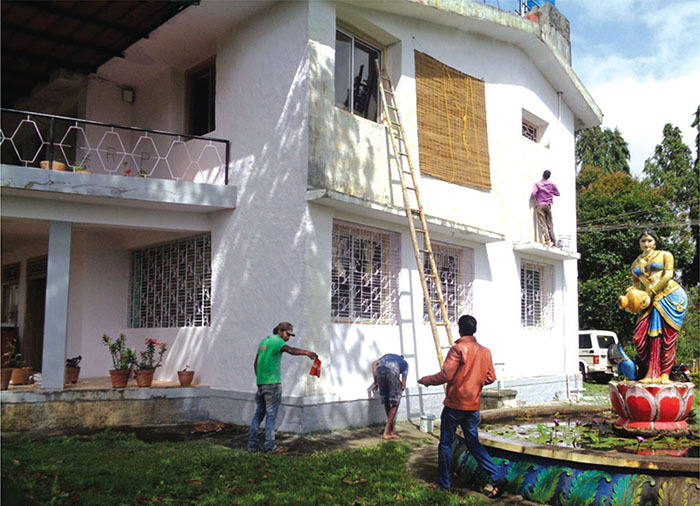 At the KRS Dam, gates and side-grills are being painted to welcome the CM. A helipad is kept ready for Kumaraswamy’s chopper to land. After offering Bagina, the CM will garland the statue of Goddess Cauvery that has been given a fresh coat of black polish. Trees ordered to be cut in Kodagu: Meanwhile, Kodagu Deputy Commissioner P.I. 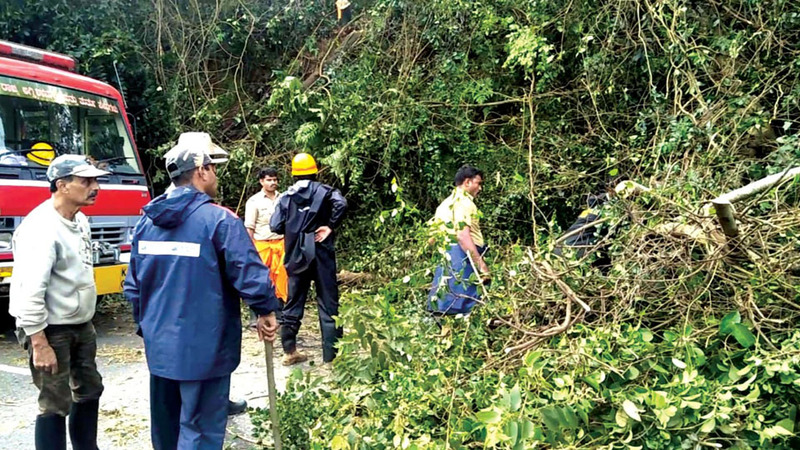 Sreevidya has instructed officials to clear trees that are leaning dangerously on the Madikeri-Bhagamandala-Talacauvery Road, the route which will be taken by Kumaraswamy when he proceeds towards Bhagamandala and Talacauvery on July 19. Being pro-active and going out of their way after the DC’s order, the Forest Department felled many trees, both young and old, on this road. 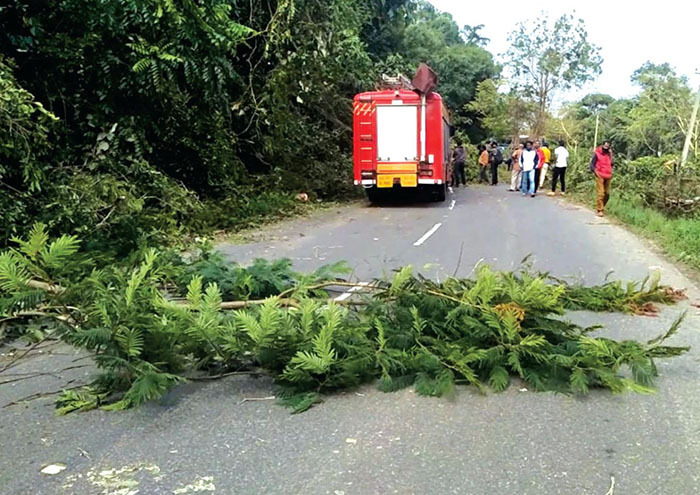 While the branches of many trees were pruned, many trees that were leaning on to the road were chopped on the Madikeri-Boikeri-Bhagamandala stretch. Not only this. To ensure safety of the CM, the DC has ordered stationing of fire engines at places wherever Kumaraswamy visits and stays. Even a task force has been appointed with designated vehicles to move ahead of the CM’s cavalcade to avoid any untoward incidents due to heavy rain. Though the DC has denied that she has issued the order to clear way for the CM’s visit, environmentalists, displaying the copy of the order from the DC office, have objected to Sreevidya’s move. Photos of many trees being cut on the CM’s route have gone viral on social media and even the netizens are not taking the issue lightly. They have questioned the destruction of trees, causing permanent damage, just for a brief VVIP visit. Protest by farmers: A KRS Chalo will be taken out by farmers at the Krishna Raja Sagar (KRS) Dam on July 20 when CM Kumaraswamy visits there to offer Bagina. Black flags will be shown to Kumaraswamy for not waiving off all farm loans as promised by him at election rallies. Farmer leaders from K.R. Pet near Mandya have stated that they will block Kumaraswamy’s convoy at KRS demanding immediate waiver of all loans taken by farmers from all Banks, Cooperative, State and National.